We get it.... being a hunting and fishing widow takes patience. It comes with tangled fishing tackle on the kitchen counter, deer horns scattered in the yard and the sound of turkey calls right when your head hits the pillow. 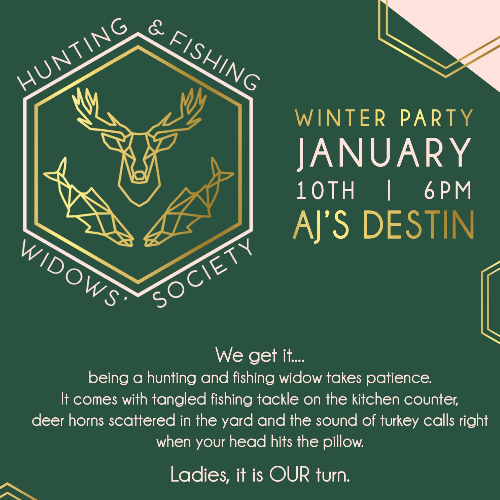 Hunting and Fishing Widows’ Society’s Winter Party is set for January 10th from 6:00 to 8:00 PM at AJ’s on the Destin Harbor. Ladies, it is OUR turn.